My guest today is Gillian McAllister, Sunday Times Bestselling author of psychological legal thrillers Everything But The Truth, Anything You Do Say, and No Further Questions. This is Gillian’s second time of the podcast (I first spoke to her about pre-publication nerves, before her debut was released in March 2017) and this time we discuss her stratospheric success and the unexpected psychological cost. 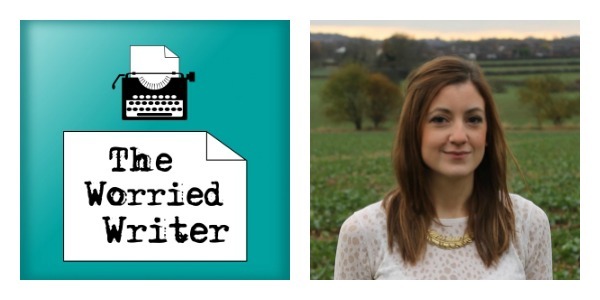 Gillian also runs a podcast – The Honest Authors Podcast – with Holly Seddon. As Gillian and I both suffer with capital ‘A’ anxiety, there is frank discussion of mental health (along with a bit of joking on the subject). If this is something which is likely to offend or upset you in some way, please proceed with caution. Also, if you have any concerns about your own mental health, please do seek help from your local medical service. There is help available and you are most definitely not alone. Finally, although I usually keep this podcast family friendly, there are a couple of mild swear words used in this interview. I have marked it as ‘explicit’ on iTunes, just in case that is something you would prefer not to hear. I give an update on my writing. 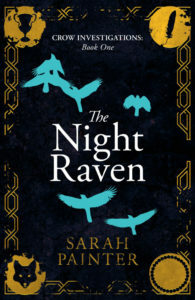 My month has been largely filled with publishing tasks for The Night Raven. It’s going up for pre-order this week on Kobo and iBooks, and will be released everywhere (including Amazon) on Tuesday 23rd October in both paperback and ebook. The Fox family… Well. The less said about the Fox family the better. If you would like to be notified when it’s available (and be entered into my publication celebration giveaway) sign up for the Sarah Painter Books newsletter HERE. In other news, I was delighted to be included in this round-up of podcasts. Thanks, Nate! And I give a shout-out to new patrons supporting me via Patreon. Thank you so much! The seventh exclusive audio extra went up in September and I answered patron questions about NaNoWriMo and surviving the editing process. The Worried Writer on Patreon. If you want instant access to the audio and to become an insider member of the podcast, you can sign up for just $2 a month via the link above. (You can support me for as long or a short a time as you like – cancel any time). 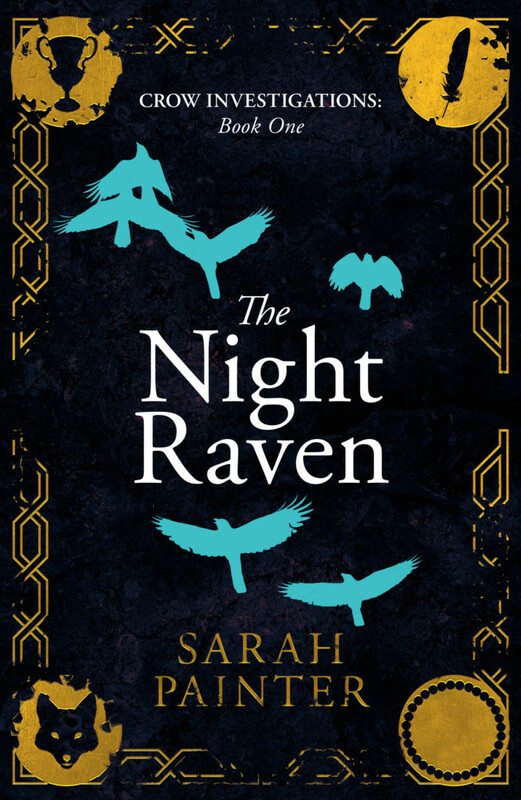 The Night Raven is a new direction for me and I’m very happy to discuss any aspect, including my launch strategy (including whether it worked!) in a future episode. Please feel free to ask me any questions (on that, or anything else about writing, publishing or productivity) and I will do my best to answer. Get in touch via email or Twitter or leave a comment on this post. My guest in this episode is Gillian McAllister. Gillian’s debut thriller Everything But The Truth is out on 9 March 2017 from Penguin and she is represented by Clare Wallace at the Darley Anderson Agency. I was lucky enough to receive an advance copy of Everything But The Truth and it is an absolutely cracking read. It’s a twisty, compelling, domestic thriller and I highly recommend it. I spoke to Gillian last year and it was really interesting to talk about the post-deal, pre-publication phase. For more on Gillian and her writing, head to her website, or find her on Facebook, Twitter or Instagram. In the introduction, I give a quick personal update: I finished the Worried Writer book! Last month I put out a call for beta readers and was bowled over by the response. Thank you so much to all of you who offered, the list is now full. I’m sending out the manuscript this week (eep!). One of the really positive things about doing a project like this is that it’s given my brain a break from writing fiction. I felt empty after finishing the latest draft of Beneath The Water and it was nice to change gears for a while. Predictably, I’m missing fiction again, now, and am looking forward to diving into a new novel. Also, I mention that I have (finally!) set up a page on Facebook for the podcast. Please head over and give it a quick ‘like’ if you are so inclined… I would really appreciate it! Let me know the kind of content you’d like to see there, too. I’m considering recording some Q&A videos or perhaps a wee tour of my latest planner system. Let me know on the FB page or in the comments section below. Or, of course, drop me an email. As always, I welcome your feedback and questions! Thanks so much for listening! If you have a moment, please leave a rating on iTunes or share the podcast. Also, I will be giving out a limited number of review copies of the Worried Writer book in March. If you want to be first to hear about the book (and be in with a chance of scoring a free copy), please sign up here.